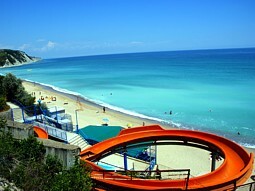 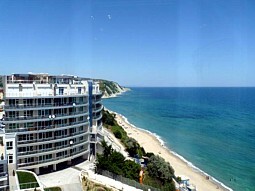 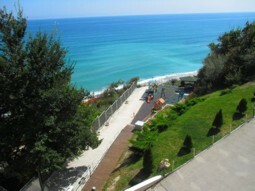 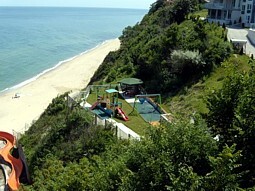 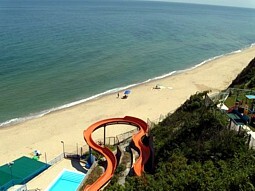 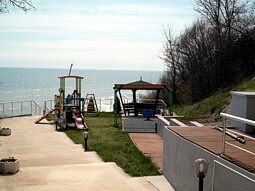 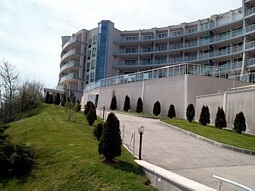 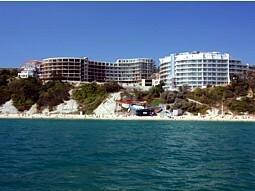 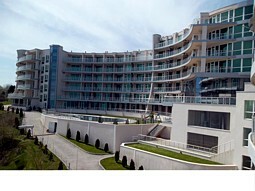 Complex Silver Beach is located on the beach, over the water slide of Byala. 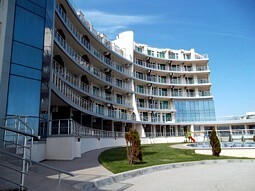 The complex offers free parking for guests, security, two outdoor swimming pools - one on the first floor overlooking the sea and another on the roof terrace of the complex. 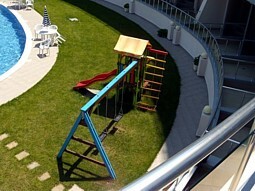 The complex also offer a playground that gives children the opportunity to spend a memorable vacation at sea. 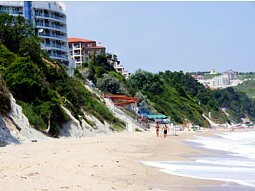 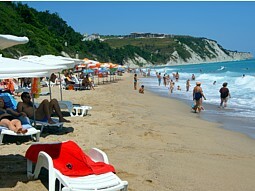 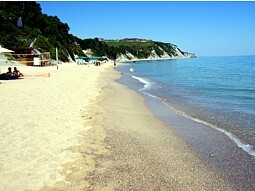 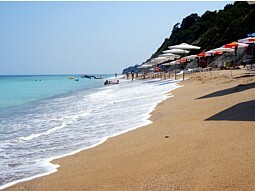 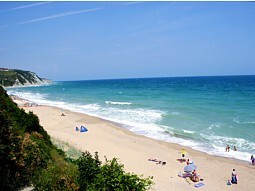 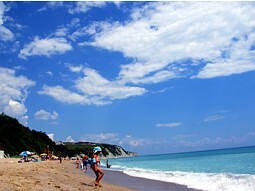 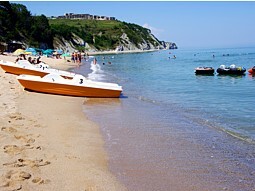 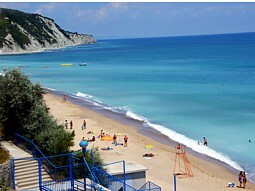 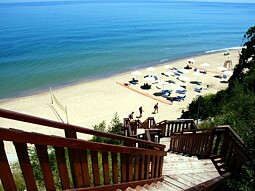 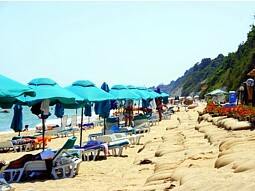 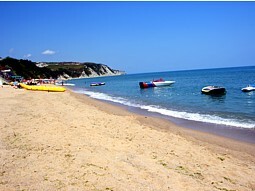 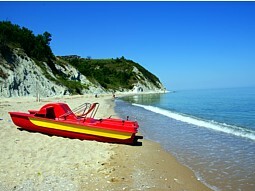 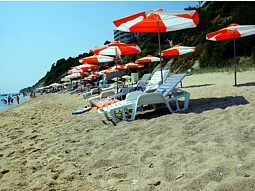 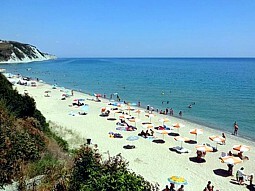 The beach of Byala is one of the cleanest in the Black Sea. 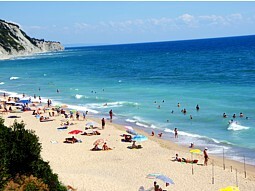 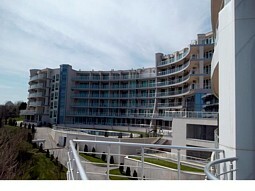 This is due to the fact that it is located far enough away from the major administrative cities - Varna and Burgas. 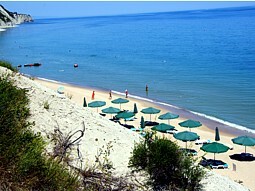 The combination of sea and mountain climate makes Byala a wonderful place for recreation. 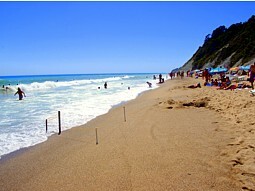 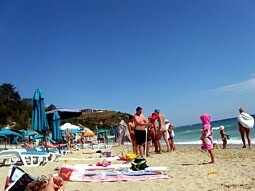 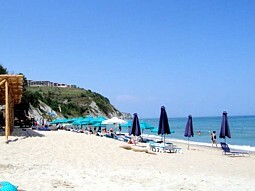 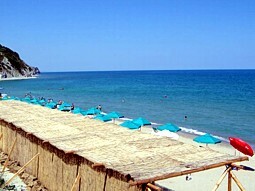 The beach of Byala is wide and sandy with crystal clear sea. 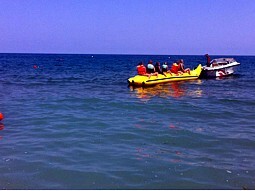 On the beach you can enjoy water activities like water wheels, banana and others. 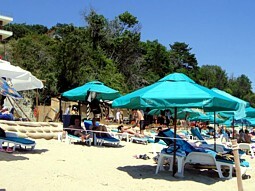 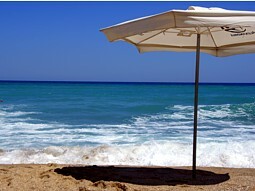 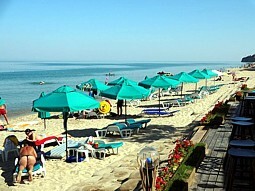 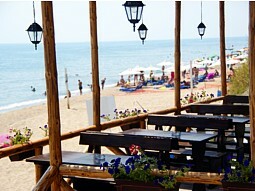 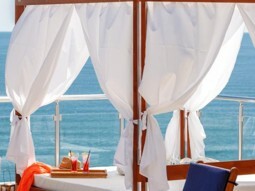 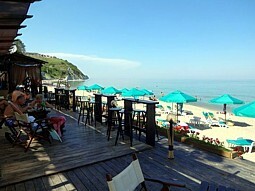 For your freshness during hot summer days will cater two beach bars located right on the sand. 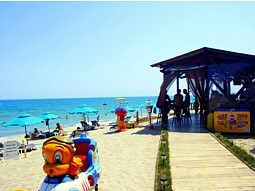 Byala is a small resort town where you will find everything you need for your holiday - shops, restaurants, cafes, a market for fresh fruit and vegetables, children's playground with a trampoline and many other activities for your children, pharmacy, hospital, bank. 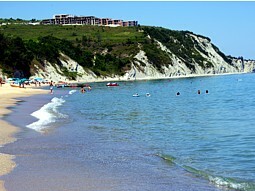 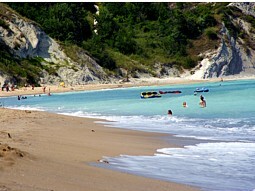 Near Byala is the place "White River" - one of the wildest places in the region of the Black Sea. 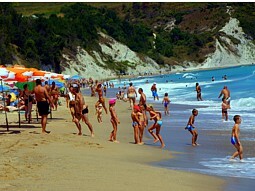 Nature in the area has retained its beauty and can find many childhood beaches where you can enjoy nature and indulge in peace. 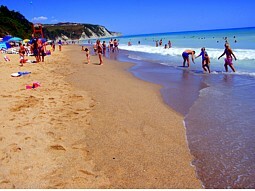 20 km south is Irakli camp. 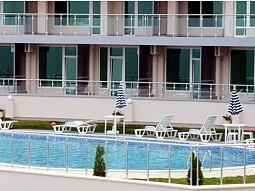 Byala is a wonderful resort, where you can spend a wonderful holiday together with family or friends! 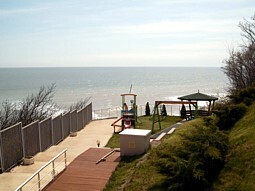 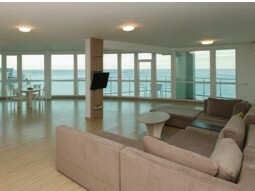 For your holiday we offer our new furnished one bedroom apartment with nice sea view. 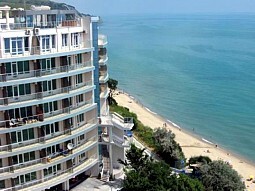 Aparment is with one bedroom with double bed and wardrobe; living room with comfortable sofa bed where two people can sleep; dining area with table and chairs; fully equipped kitchen with oven, hot-plates, microwave, toaster, kettle for hot water, coffee machine and all necessary pottery for preparing and serving food; large plasma TV with cable TV and wireless internet. 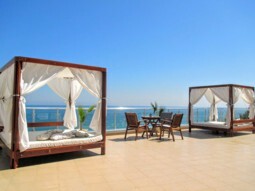 The living room and bedrooms are leading to nice balcony with magnificent sea view. 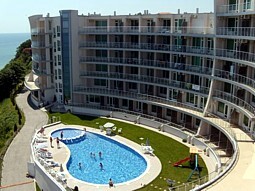 The apartment is equipped with air conditioning, which ensures the desired degree of comfort on hot days. 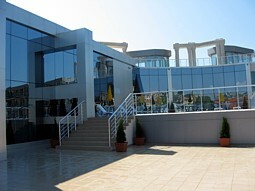 Terrace with sea view, equipped with a plastic table and chairs where you can enjoy a gentle sea breeze, sipping your morning coffee or evening cocktail. 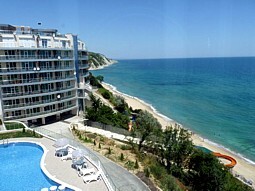 Complex Silver beach, Byala town - comments and recommendations from clients of ours and guests, who spend their vacations with us . 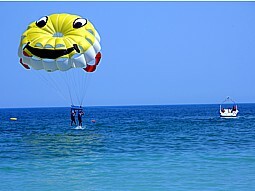 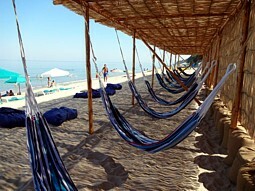 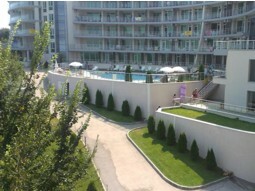 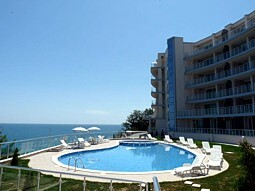 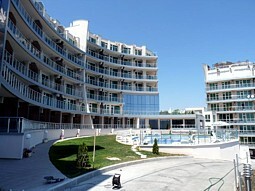 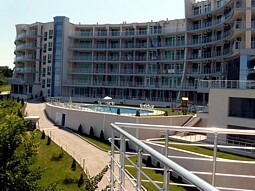 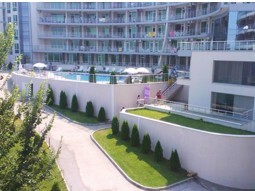 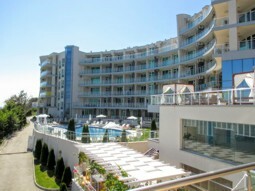 Complex Silver Beach is located in the picturesque resort town of Byala. 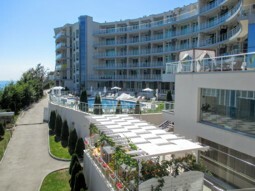 The complex is located on the seaside promenade of the town, just 150 metres from the beach, with swimming pool, children playground and parking.